This article examines the income and profit reporting when, on the sale of real estate, the sales price is less than the balance due on loans encumbering the property and the loans are paid off at a discount. A homeowner purchased his residence for $450,000, with a down payment of $50,000. The remaining $400,000 of the purchase price was funded by a fixed-rate, purchase-assist loan. The homeowner’s cost basis in the residence is $450,000, plus transactional costs of acquisition. The cost basis will be subtracted from the price realized to set the profit or loss taken by the homeowner on a resale or other disposition of the residence by foreclosure or a deed-in-lieu. The residence was purchased at the peak of the previous real estate boom. Due to the cyclical decline in real estate values since then, the homeowner’s residence is now worth $300,000. However, while the monthly mortgage payments have remained the same, the homeowner’s income has declined. All of the household’s disposable income is now consumed by payments on the loan and the owner can no longer afford to make those payments. Editor’s note — The same impact on a household’s disposable income occurs for those homeowners who experience an increase in the dollar amount of monthly installments on an ARM loan, but their pay raises are of normal, lesser annual increases. The loan balance is now $389,608.88, an amount far in excess of the current market value of the property. The homeowner lists the residence with a broker in an attempt to sell it and get out from under the excess debt. Also, any purchase agreement entered into will be subject to the lender’s approval. The broker taking the listing understands that because the fair market value of the residence is below the outstanding debt encumbering it, he must, as additional effort to close a sale of the property, negotiate with the lender for a discount on a loan payoff demand, called a short payoff. If the lender agrees to accept a short payoff by discounting the payoff amount, the property will have gone through a “short sale” process. · the discount is reported as discharge-of-indebtedness income, limiting the price realized to the price paid by the buyer. A short sale is a sale of property in which the amount of the net proceeds is less than the principal balance owed on the loan of record and the lender accepts the seller’s net proceeds from the sale in full satisfaction of the loan. The difference between the principal balance on the loan and the lesser amount of the net sale proceeds accepted by the lender as payment in full is called a discount, or more commonly, a short payoff. If the broker is unable to negotiate a short payoff (discount) with the lender, the seller will make no further payments. Thus, the lender will be forced to foreclose for its failure to arrange a pre-foreclosure compromise. Some lenders will require the seller to default on payments before they will consider a discount and accommodate a short sale. A default is the first step in an owner’s exercise of the “put option” he holds, which is inherent to all trust deed loans and allows the owner can force the lender to buy the property. The broker’s ability to successfully negotiate a short payoff with the lender depends in part on the type of loan that encumbers the seller’s property. Likewise, if the loan is a conventional loan covered by private mortgage insurance (PMI), the lender’s willingness to negotiate a short payoff will be influenced by the lender’s ability to negotiate the settlement of a claim with the private mortgage insurer for the lender’s loss on the short payoff. The ad implies the homeowner will incur taxes at ordinary income tax rates on the amount of debt forgiven by the lender as a discount on the sale or foreclosure of property, called discharge-of-indebtedness income by the Internal Revenue Service (IRS). The ad states that if the homeowner transfers title to the company offering the service, the owner will avoid the tax liability resulting from income generated by the discount given by the lender on a short sale. · allow the lender to foreclose against the coordinator for nonpayment of installments. After reading the ad, the homeowner is led to believe he will be taxed on the sale of his residence if it is sold for a price less than the loan amount and the lender accepts the sales proceeds as payment in full on the loan. In that case, the discount received on the loan would require the owner to report the discharge of indebtedness as ordinary income and pay state and federal taxes. The homeowner believes paying the fee of around $4,000 and transferring title to the coordinator is preferable to incurring a tax liability on the $100,000 discharge-of-indebtedness income ($400,000 loan balance minus $300,000 sales proceeds). Does the advertisement correctly represent the homeowner’s tax reporting and tax liability exposure from a short sale handled by a coordinator who takes title? No! The short sale of real estate encumbered by a nonrecourse loan does not trigger the reporting of ordinary income for the discounted and discharged portion of the loan. 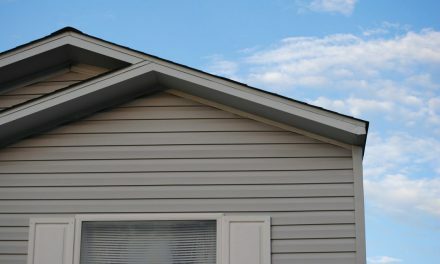 The discount on a nonrecourse loan is considered part of the price realized by the homeowner on the sale, in addition to the price paid by the buyer. In this example, the homeowner will incur a personal loss on the sale of $50,000. The homeowner’s profit or loss from the sale of his residence is calculated by subtracting the owner’s cost basis in the home, $450,000, from the price realized on the sale, the loan balance of $400,000. The fair market value paid by the buyer for the real estate is not used to calculate the seller’s reportable profit or loss on a short sale when the real estate is over-encumbered with a nonrecourse loan. Consider an investor whose depreciated cost basis in a property is $1,250,000. The real estate is encumbered by a $1,800,000 first trust deed loan that is nonrecourse since the note evidencing the loan contains an exculpatory clause, eliminating personal liability for repayment of the loan. Thus, the property’s fair market value is of no concern when reporting the investor’s income, profit or loss on a short sale since the price realized and reported on a short sale is the loan amount. Due to market conditions, the value of the investor’s real estate has fallen below the principal amount owed on the note. As a result, the investor exercises his right to default on the note and trust deed and return the property to the lender. This is called a put option since it requires the lender to buy the property through foreclosure when the borrower decides to stop making payments. Ultimately, the real estate is acquired by the lender at a trustee’s foreclosure sale. Taxwise, the investor will report a profit of $550,000 on the sale, not discharge-of-indebtedness income, whether or not the real estate is sold at the trustee’s sale for a full credit bid or on an underbid. The portion of the investor’s profit attributable to depreciation deductions he has taken, called unrecaptured gain, will be taxed at a 25% rate. The portion of the profit classified as long-term capital gains will be taxed at a 15% rate. Lenders in a pre-foreclosure workout occasionally accept an owner’s deed-in-lieu for the property that secures their loan. The deed-in-lieu is given in exchange for the lender’s cancellation of the note. Typically, the principal balance on the loan is greater than the value of the real estate when the lender accepts a deed-in-lieu. When a trust deed note evidences a nonrecourse debt, the owner must report his profit or loss on a deed-in-lieu conveyance the same as he would report profit or loss on a conventional sale or a foreclosure sale, since all three are considered dispositions by the IRS. Consider an owner whose real estate is encumbered by a trust deed securing a recourse loan taken over by the owner when he purchased the property. The trust deed lender offers the owner the opportunity to prepay the loan at a discount. This opportunity arises during periods of high mortgage rates when an old fixed rate loan bearing interest at a drastically lower rate remains on the lender’s books (a situation that exists when mortgage money is tight, as occurred during the early and late 1980s). No sale of the real estate is involved since the owner will retain the property. The owner accepts the offer and the lender receives an amount equal to 90% of the unpaid principal balance in full satisfaction of the debt, a discount of 10%. Does the discount result in discharge-of-indebtedness income, requiring the owner to report the amount as ordinary income? Yes! Since the owner retained ownership of the property after the payoff, he must report discharge-of-indebtedness income in the amount of the discount. The discharge-of-indebtedness income is reported as income generated by the property, as though the amount was received as rent. Now consider a seller who carries back a note and trust deed on the sale of his property. Later, the carryback seller is in need of cash and offers the owner a discount on the remaining balance if he will prepay the carryback note. The owner accepts the seller’s offer and pays off the carryback note at a discount. Is the amount of the discount on the carryback note considered income from the discharge of indebtedness, as is the case for a discount on a money loan? Thus, the owner’s basis in the property is reduced by the amount of the discount on the payoff of the carryback note, equivalent to a purchase price reduction on the installment sale. On the owner’s resale of the property, the reduced basis will be subtracted from the price he receives, resulting in a greater profit on the resale equal to the amount of the discount. The discount is taxed at the 15% capital gains rate as profit, instead of the maximum 35% rate (in 2006) for ordinary income that is applied to the discharge of indebtedness on a loan discount. Consider an owner of real estate that is encumbered by a carryback note he executed in favor of the prior owner. The current fair market value of the property is now less than the principal balance of the note. The owner decides to stop making installment payments on the note and offers to give the seller a deed-in-lieu of foreclosure as full satisfaction of the carryback debt and cancellation of the note. The seller accepts the deed-in-lieu of foreclosure as satisfaction for the debt and cancels the note. The owner now wants to report the price realized on his deed-in- lieu transaction as the property’s current fair market value, not the note amount. Reporting the sales price at its market value will reduce the amount of profit he must report. Again, the profit or loss on a deed-in-lieu conveyance is calculated by subtracting the cost basis from the price realized. Unless the owner’s cost basis was reduced by depreciation or capital loss deductions, the basis is set primarily by the price the owner paid for the property and should exceed the amount of the carryback note that is canceled. Thus, a capital loss will be taken by the owner on the deed-in-lieu transaction. The preferential tax reporting available for a discounted payoff of a nonrecourse loan is not allowed on short sales of real estate involving recourse loans. The discount on a recourse loan is not part of the price realized on the sale and the owner is not entitled to the 15% to 25% profit tax rates on that discount. He is instead taxed up to the maximum ordinary income rate (35% in 2006). When a short sale occurs on real estate encumbered by a recourse loan, the seller incurs a tax liability at ordinary income rates on the discount, which is discharge-of-indebtedness income. Conversely, when a nonrecourse debt is discounted on a short sale, the seller’s tax liability, if any, is on any profit taken on the price realized. That price is set as the principal amount of the loan, without concern for the discount or the property’s fair market value. For example, an owner’s property is encumbered by a $400,000 trust deed loan. The loan is a recourse debt that exposes the owner to a deficiency judgment if the value of the secured real estate becomes less than the amount of the debt. The real estate is now worth only $300,000, $100,000 less than the loan amount, which is the deficiency. However, the owner’s cost basis in the real estate is $450,000. The owner sells the real estate on a short sale. The net amount the buyer pays for the real estate is $300,000. The lender accepts the net proceeds from the sale in full satisfaction as a short payoff of the recourse note. 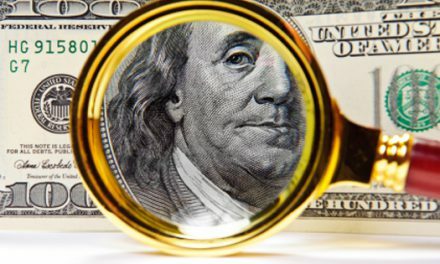 The remaining unpaid balance of $100,000 is forgiven by cancellation of the note since the lender does not judicially foreclose to pursue a deficiency judgment. · discharge-of-indebtedness income of $100,000 ($400,000 loan amount minus $300,000 price realized), reported as ordinary income. Here, if the capital loss is on the sale of a business, rental or investment property, the loss offsets the ordinary income generated by the discharge of indebtedness. However, had the owner’s basis in this example been lower, the capital loss would be a lesser amount. Thus, a point can be reached where the capital loss is insufficient to offset the discharge-of-indebtedness income, the mortgage-over-basis dilemna. Occasionally, a homeowner obtains an equity loan or refinances the existing loans encumbering his residence. Equity loans and refinancing are always recourse loans since the net proceeds do not themselves finance the purchase or improvement of the residence occupied by the owner. Again, on the sale of the owner’s personal residence when the remaining cost basis is greater than the sales price, the resulting capital loss is a personal loss. Since it is not a loss within an income category, it cannot be written off to offset the taxation of other income. Whether real estate encumbered by a recourse loan is lost to the lender in a foreclosure sale or the property is sold by a conventional sale, an owner has disposed of the property and will experience the same tax consequences in both situations. Consider a judicial foreclosure sale of real estate encumbered by a recourse loan. The lender seeks a deficiency judgment on completion of the sale since the proceeds from the judicial foreclosure sale do not satisfy the outstanding principal balance on the loan. As long as the deficiency judgment remains unpaid, the owner will not incur any tax liability for discharge-of-indebtedness income for the amount of the judgment. However, if the lender later cancels the deficiency judgment or it is allowed to expire, the owner must then report the amount unpaid on the deficiency judgment as discharge-of-indebtedness income. 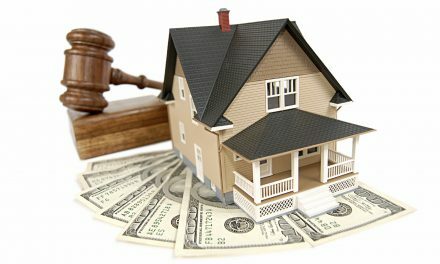 Now consider a judicial foreclosure sale where the winning bid is an amount less than the property’s fair market value. As a result, the difference between the two amounts is a discount that the lender cannot collect. The lender will report the discount amount as discharge-of-indebtedness income. This bid-to-value difference cannot be recovered by the lender through either the amount of the bid or in a deficiency judgment. A deficiency judgment is limited to the difference between the property’s fair market value (which is not the bid amount unless it is at or higher than the fair market value) and the loan amount. Thus, the discount is the remainder of the loan amount not recovered by the bid or the deficiency judgment. In contrast, consider the same recourse loan situation, but the lender forecloses by a trustee’s sale instead. The high bid at the trustee’s sale is for an amount less than the principal amount of the recourse loan, called an underbid, the same as in the previous judicial foreclosure example. At a trustee’s sale, the discharge-of-indebtedness income is the amount by which the recourse loan exceeds the , the high bid. An owner who conveys real estate to a secured lender by a deed-in- lieu given in exchange for canceling a recourse loan, will incur the same tax liability as on a trustee’s foreclosure sale. The price agreed to by the lender on accepting a deed-in-lieu is equivalent to the highest bid at a trustee’s sale. For example, a recourse loan is secured by real estate that has a market value less than the outstanding principal balance on the loan. The owner conveys the real estate to the lender on a deed-in- lieu of foreclosure. The deed-in-lieu provisions state the fair market value of the real estate is equivalent to the principal amount of the debt canceled in exchange, a valuation negotiated by the owner and his broker. As a result, the transaction avoids any discharge-of-indebtedness income since a discount was not agreed to in the exchange. · the lender will cancel the entire outstanding balance of the recourse loan in exchange for the property. The price realized, and thus used to calculate the profit or loss on the deed-in-lieu exchange is the property’s fair market value as negotiated and stated in the deed-in-lieu provisions. 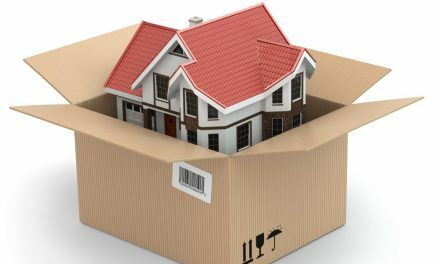 Consider a parcel of real estate encumbered by a recourse loan that has a principal balance greater than the owner’s cost basis in the property, a situation called mortgage-over-basis. Convinced he will incur discharge-of-indebtedness income, the owner decides to transfer title to a short sale coordinator in order to avoid paying taxes on the income. The coordinator takes title on payment of a fee by the owner. · placing utilities in the coordinator’s name. Also, the owner makes no transfer disclosures that are generally required of a sale. The agreed-to sales price for the conveyance to the coordinator is the principal balance of the recourse loan, even though that amount exceeds the real estate’s fair market value. The owner reports a profit or loss on the “sale” to the coordinator by subtracting his cost basis from the balance due on the loan, the price realized as agreed to by the owner and the coordinator. Since the owner’s cost basis in the property is greater than the balance due on the loan, a loss is incurred on the sale. While holding title, the coordinator does not make payments on the recourse loan. Further, the owner remains in possession but does not pay rent. Thus, the owner appears to the IRS as having received discharge-of- indebtedness income, which reduces the amount of profit and increases the amount of ordinary income the owner must report. Even though the owner did not hold title to the real estate at the time of the foreclosure sale, a reporting conflict arises for the owner since he transferred the property to the coordinator, in an attempt to avoid discharge-of-indebtedness income. In this example, the conveyance of the real estate by sale to the coordinator was a sham transaction. The coordinator had no intention of acting as the owner and operator of the real estate. In addition, the owner’s payment of a fee to the coordinator for taking title and performing services for the owner most likely created an agency. In this case, the IRS considers the coordinator an agent of the owner. The coordinator merely holds title to the real estate while handling settlement negotiations with the owner’s lender or locating a buyer before a foreclosure sale occurs. Since the owner has already reported a loss from the sham sale of the real estate to the coordinator, he is called on by the IRS to amend the return for the year the loss was reported. The IRS argues the transfer of title was not a sale but a masked brokerage agreement. The owner must then report a profit or loss on the foreclosure sale and discharge-of-indebtedness income for cancellation of the unsatisfied loan balance. This occurred on completion of the trustee’s sale when the real estate sold for a bid in an amount less than the balance owed on the recourse note. The owner was thus released by the lender from a deficiency. POLL: How many real estate auctions have you attended with a buyer in the last two years? I am curious about a Home Equity Line of Credit taken out after the original purchase of our home. We owe approximately $975K on a home that was once worth $1.3M and is now worth (based on recent sale of exact same house one street below us) $640K. I’m not sure of our options, but we’re exploring all options. Both my wife and I lost our jobs – mine was eliminated about 4 months ago and my wifes was eliminated recently – and we’re trying to modify our loan, or decide to walk away. But it’s my understanding that, if we walk away, the Home Equity Loan holder will come after us legally for the value of the second. So, we’re exploring Bankruptcy as an option to reconfigure our debt, strip the second, modify the first and move forward from there. And if the loan get’s modified, will we be responsible for the delta if the principal gets reduced by a significant amount? Sorry for all of the details that I’m not sure I spelled out succinctly enough…hopefully they’re understandable. What are your recommendations? Thoughts? Options?